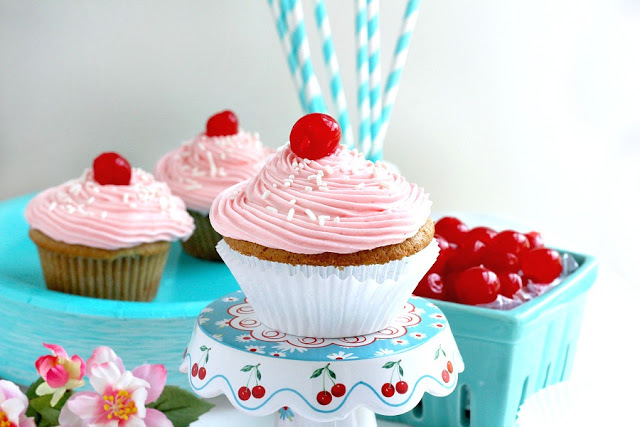 What is better than a vanilla cupcake with a big swirl of fluffy cherry frosting, sprinkled with jimmies and topped with a cherry? Making them with a granddaughter, that’s what. Shaela came to spend part of her summer break with her PopPop and I and also spend time with her New Jersey cousins. Making cupcakes together topped her list of fun things to do while she was here. It was a sweet idea! Shaela is a girly-girl and I am realizing we share many common interests. She loves aqua (and pink), she loves to cook and bake, she likes playing with my childhood Barbie’s and really exciting to me is that she is interested in photography! 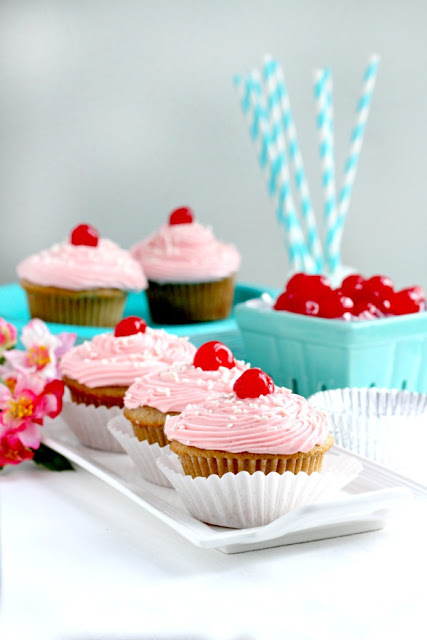 We also have a sweet-tooth that calls us to bake wonderful treats and desserts. Nearing the end of her visit, Shaela was concerned we might not get to our cupcake baking. I had a full schedule of activities planned each day for her and her brother, Ryan who also came to visit. We kind of went non-stop each day but found time to bake on a hot Saturday morning when it was too uncomfortable to do much outside. 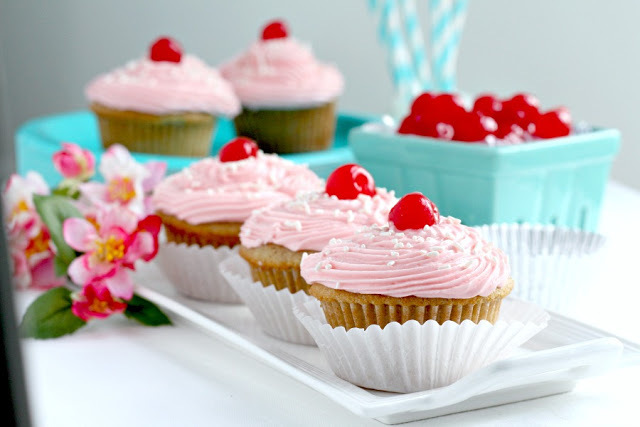 Homemade cupcakes are just a little more involved than making them from a box mix and though I like using mixes occasionally, a from-scratch cupcake is hard to beat. Shae was totally able to follow the directions with no help from me. While the cupcakes cooled, she made the frosting. 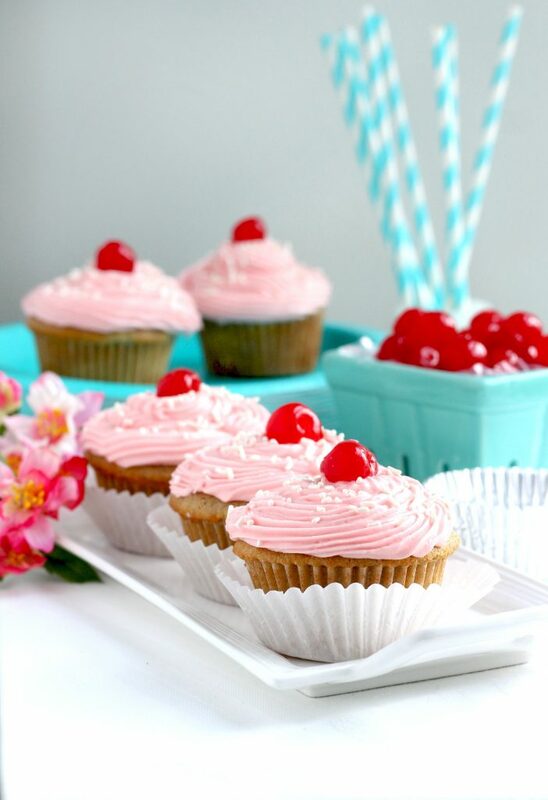 The addition of juice from the maraschino cherries gives the frosting its beautiful color and flavor. Can you tell Shaela is pretty happy with this frosting. We didn’t use all of the frosting when piping it onto the cupcakes but if we were making a layer cake we would probably use it all. 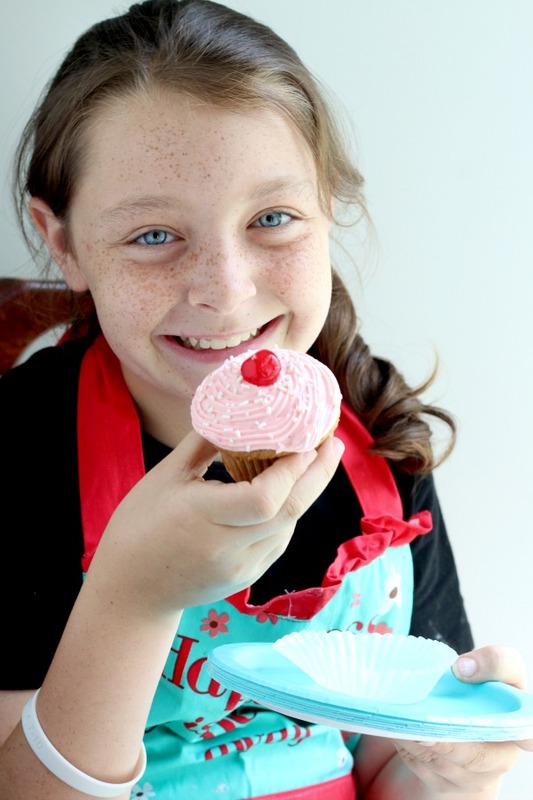 Shae has a steady hand and good piping skills and her cupcakes look so pretty. A dozen of the loveliest, tastiest cupcakes was the result. Go ahead. Try one. They are really good. 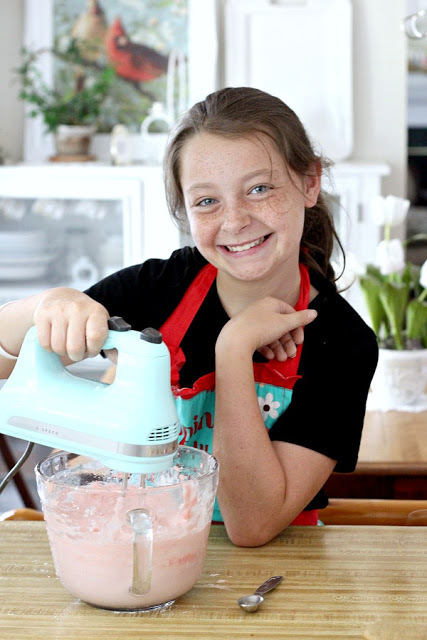 Bake a batch with a kiddo you know or bake them yourself and share the happiness. In a small bowl, stir together the milk and vanilla. 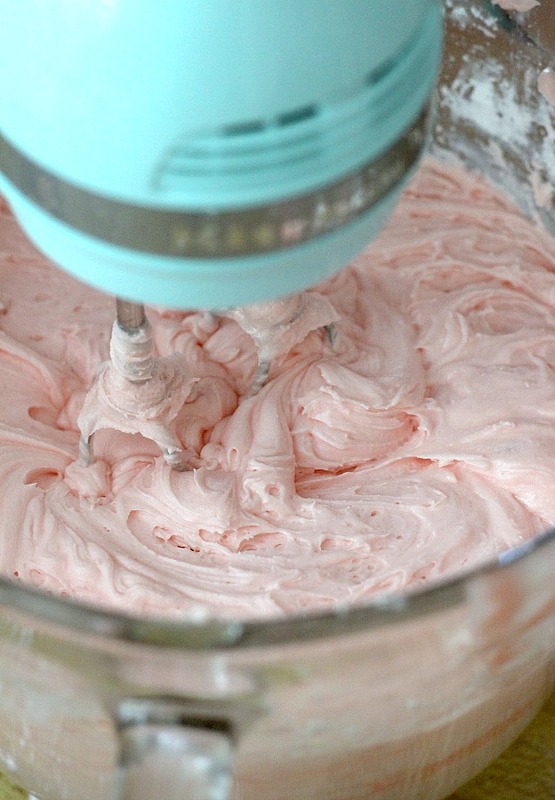 In a mixer bowl, beat the butter and sugar on medium speed until light and fluffy. Reduce mixer speed to medium-low and slowly add the egg and whites, one at a time, beating until creamy. Slowly add half of the flour mixture, then the milk mixture and finishing with the remaining flour mixture. Beat just until combined. Scoop batter evenly into the prepared cupcake tin. Bake 18-20 minutes or until a toothpick inserted into the center comes out clean. 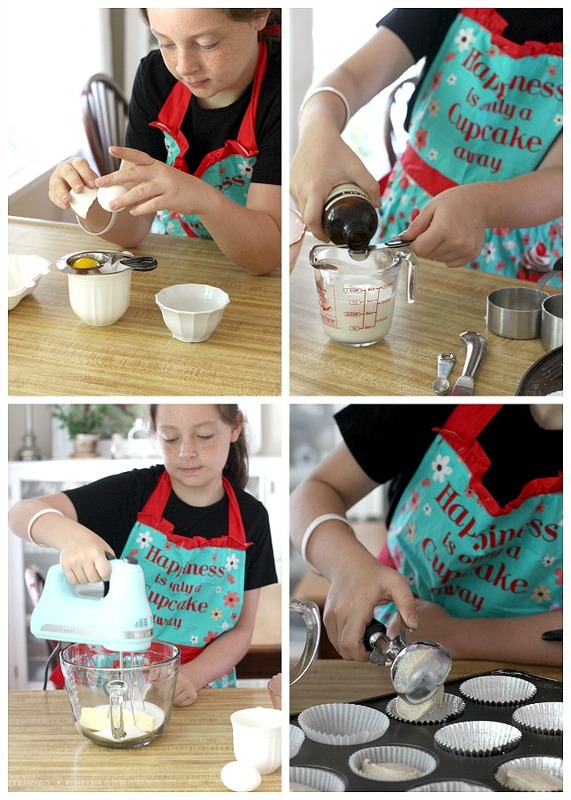 Allow to cool in pan a few minutes and transfer cupcakes to a wire rack to cool completely before frosting. 1 jar Maraschino cherries, with juice reserved and cherries dried on paper towel. (Cherries with the stems, if you can find them, look extra cute on the cupcakes). In a large mixing bowl, beat the butter until light and fluffy. 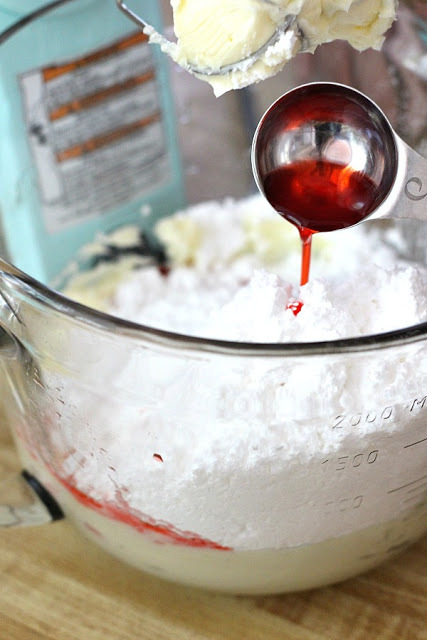 Beat in the confectioners’ sugar, salt and the juice from the cherries, alternately, until the frosting is of the consistency you prefer. Spread or pipe onto cupcakes. 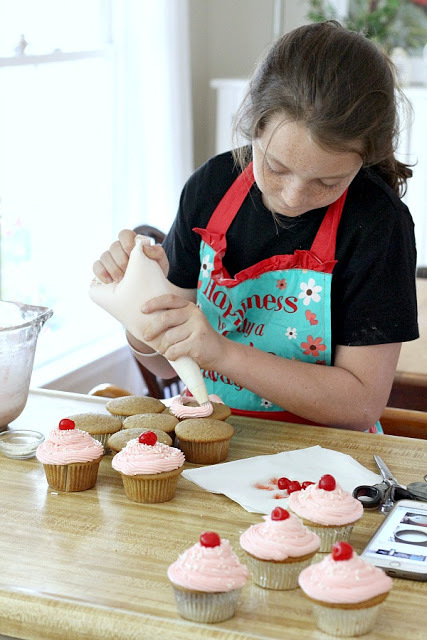 If adding jimmies or sprinkles, put those on while the frosting is still soft. Top with a cherry. She is so sweet! 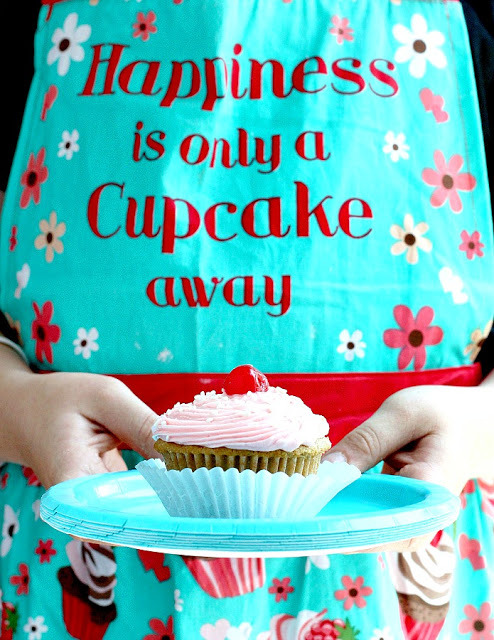 I could almost taste her cupcakes – wish I could! She did a great job on those cupcakes. They almost look too pretty to eat. These sound really good! TFS! You have some very cute helpers too!